After a nuclear bomb detonates in Central City the Flash turns to his speedster friends for help with the impossible task of stopping a devastating explosion that has already happened — pushing themselves to the breaking point. 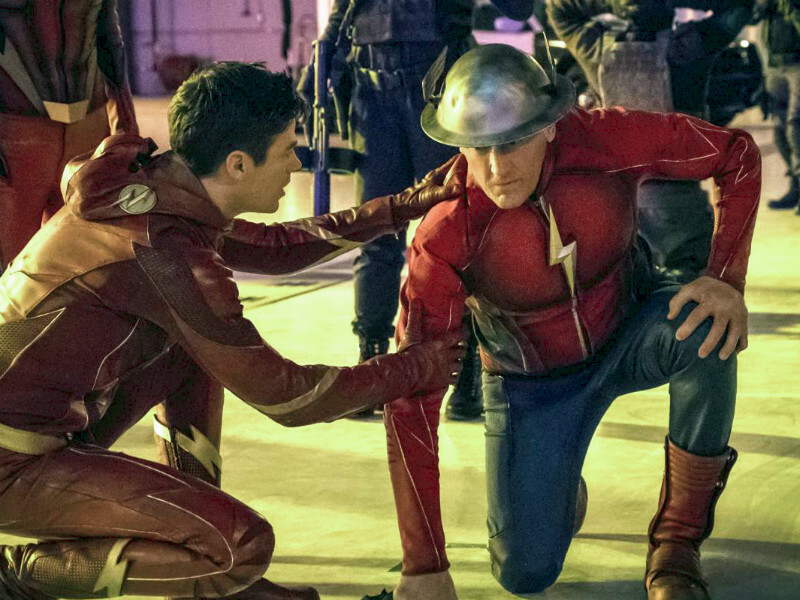 When a nuclear bomb detonates in downtown Central City, Barry (Grant Gustin), Jesse Quick (guest star Violett Beane) and Jay Garrick (guest star John Wesley Shipp) slow down time by entering Flashtime. As everyone in the city is frozen, the three speedsters push themselves to the breaking point to save the city and everyone in it. Gregory Smith directed the episode written by Todd Helbing & Sterling Gates (#415).